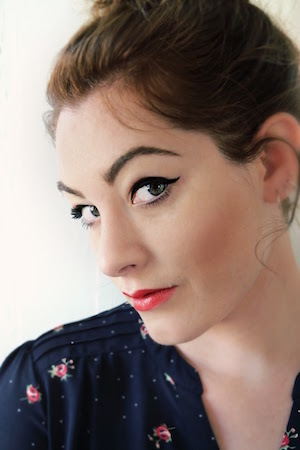 Award-winning jazz singer-songwriter and America’s Got Talent finalist Mandy Harvey will bring her uplifting music to Smothers Theatre on Tuesday, January 30, at 8 PM. A deaf performer and motivational speaker, Harvey lost her residual hearing when she was 18. Incorporating American Sign Language into her rich performance, Harvey glides from a “breathy jazz standard to growling blues” that gets the audience up on its feet (Los Angeles Times), and although she can't hear the applause or her own remarkable voice, she continues to find joy in music and inspire all who can listen. Though her hearing loss is profound, Harvey’s timing and pitch are perfect and her passion is tremendous. Formerly a vocal music education major at Colorado State University, Harvey lost her residual hearing in 2006 due to a neurological disorder that affected her nerves and left the program. She pursued several career options, including education, but returned to music in 2008. She quickly became a regular performer at various venues and has released three albums thus far. In 2011 Harvey won Very Special Arts’ (VSA) Top Young Soloist Award and lived a personal dream of performing at the Kennedy Center in DC. She continues to perform around the United States and has been featured on NBC Nightly News, Canada AM, The Steve Harvey Show, and the Los Angeles Times, and won fourth place on season 12 of America’s Got Talent. In addition to performing and speaking, Harvey is currently writing her first book, and helping others to realize their dreams and pursue their hopes. She is an ambassador for both No Barriers USA and Invisible Disabilities Association with a mission to encourage and assist others to break through their personal barriers. Ticket prices range between $10 and $40. For additional information about the performance, and to purchase tickets, visit the Center for the Arts website.